Considering the pace at which new cosmetic brands are hitting the market, the commercialization of beauty has come a full circle. However, not all brands survive due to ineffective products they are bringing on to eat the beauty business pie. On the other hands, consumers have become more aware and have understood the damaging effects of hazardous chemicals used in these cosmetics. Reason being, people are turning towards natural homemade remedies and treatments to enhance their beauty. One of the experimental beauty treatments is mud face mask. Nah! There is no need to feel shocked, as mud has its own unique benefits and provides some healthy nutrients to your skin. What Does Mud Do to Your Face? The richest among all effects of mud is oil soaking. Needless to say, almost 80% skin problems involve excessive oil on the surface of the skin that mixes with dirt and dust blocking pores, assisting blackheads, blemishes, dark circles, and wrinkles among other problems to develop. Mud also tightens the skin after cleaning them. It also eliminates the fine lines pushing age a few years back. Finally, it balances the skin texture incredibly..
1. Cleansing: Mud mas are basically used for absorbent properties. Once they dry off the face, they start sucking up the excess oil on the skin and the dirt particles. 2. Exfoliation: Mud mast is made of one or the other type of clay, kaolin, while, green french or Fuller’s earth. The basic nature of the clay is to exfoliate the surface on which they are pasted. Once you remove the mask, dead cells go with it. 3. Nutrients: There is no way using cosmetic mud masks going to serve the purpose. Organic mud masks, besides improving the nature of the skin, nourishes the skin infusing lots of vitamins and minerals. 4. Detox: There is no standard to how much mud mask should detoxify the skin, but based on your skin type, mud mask to detoxify the free radicals and fights bacterias to ensure you stay away from skin diseases. 5. Skin Tightening: The mud mask dries out your skin which helps in skin tightening. Removing the unnecessary oils and impurities from the skin, it works as both toner and moisturizer. Makes your skin look toned and smoothen, also youthful naturally. There are various clays available, which one can easily buy from the local grocery store. However, the best among all is Fuller’s earth or call it Multani Mitti, which is easily available at the tradition grocery store. Crush Fuller’s earth and turn it into powder. Add a tablespoon water and to make a thick paste. Add rose water to the paste and check the thickness. Add a ½ tsp honey and mix it well. You can also add jojoba oil or tea tree oil. Mix the mask well before applying. Wash face with a warm water to let the pores open to absorb the mask. If every time you felt guilty of indulging in too many chocolates, well, you will not after you get to know that chocolate will now help you relax your skin, smoothen it, and give you a clearer skin. Want to know how? Preparation Time: 10 minutes for preparation, 15 minutes for the application. How it works: The salt and sugar makes the perfect scrub and exfoliates the skin. Tips: You can add olive oil to the dry skin. The cocoa powder leaves the color of this six-ingredient face mask looking just like mud. But lucky for our rumbling stomachs, this face mask is totally edible and supposedly tastes like a chocolate banana smoothie! Preparation Time: 5 minutes for preparation, 15 minutes for the application. How it works: The clay and coffee cleanse your skin and while the mask is damp it detoxifies the skin. 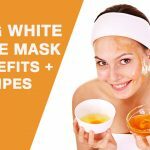 Tips: Use a wooden spoon for mixing the mask, You can also use rose water instead of the apple cider vinegar. Preparation Time: 10 minutes for preparation, 15 minutes application. How it works: The honey mud face mask helps in removing the excess oil and dirt from the skin. 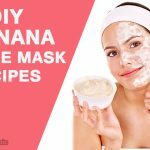 The mask is helpful in clearing the skin and smoothening it. Tips: Use only circular motion that will be helpful in blood circulation and removing the dirt. How it works: The dead sea mud works as a detoxifier on the skin. The mask helps in cleansing your skin, removing the dead skin and purifying the skin from the pores. Tips: The mask will not completely dry, you will feel the skin becoming tighten, Wash the face when you feel the mask has dried out. Preparation Time: 10 minutes for preparation, 20 minutes for the application. How it works: The argan oil nourishes your skin and adds the natural glow to your face and along with it the oatmeal and mud works as a scrub and cleanses your skin from the pores. Best time to Apply: Evening. Tips: Add more rose water if the paste becomes too thick, Avoid using water. 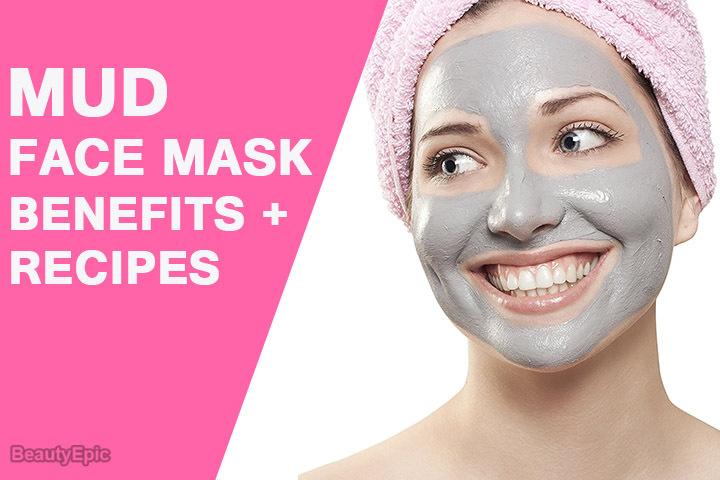 Mud face masks are a great remedy for cleansing and detoxifying the skin. The mud gets into the pores of the skin and cleanses it from beneath. Removing the dead skin cells and helping in the removal of the excess oil on the skin, which causes acne and pimples of the skin. 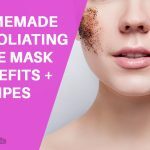 Instead of trying out the chemically tested masks and creams you can make your own mud mask at your home using all the natural products and the best part you are not affected by any side effects. Get your skin glow back naturally!